A year later… I’ve decided to fix the laser. I need access to a cutter for some prototyping for work and having one in the room is much easier than venturing over to Makespace. I bought a replacement tube on eBay which was dispatched from Germany. 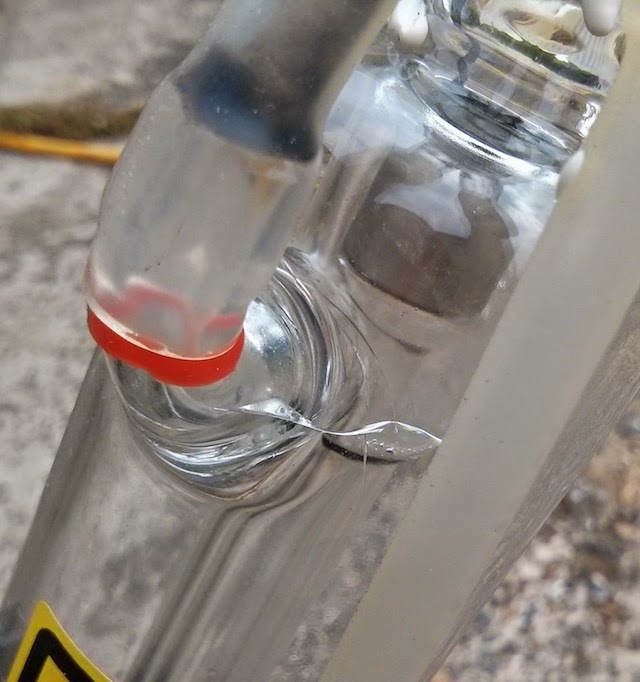 After disconnecting the power and water tubes, I took the tube outside to inspect the damage. 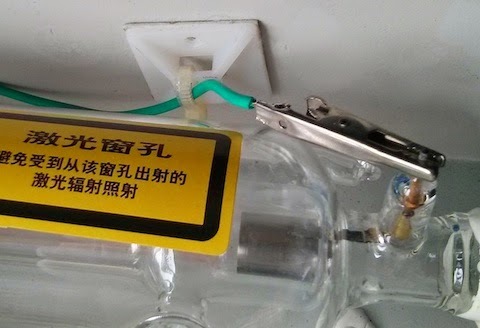 The original power to the tube was connected with glue and cable ties. The bulb contacts don’t seem to be solderable, so I’ve replaced with crocodile clips (and some insulation, not shown). Fitting the PVC cooling pipe to the glass tube was a pain. 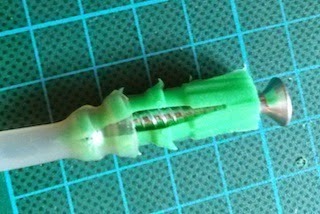 With the supplied tube, no glue was used, they were just pushed very very tight. 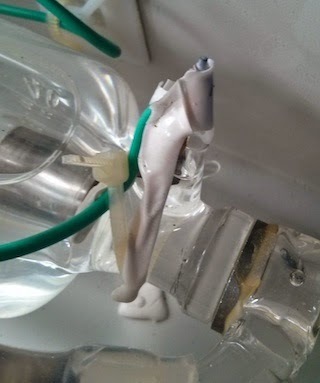 I found that stretching the PVC tube with a rawplug helped. When fitting the tube, I was careful not to move any of the brackets and it looks like I’ve gotten away without adjusting the mirrors.